Chiffonade is a term generally used to cut fresh basil, but any type of flat herb or even cabbage or lettuce (especially iceberg) can be cut using this technique. For this example I am using fresh basil. The basil to the left is from the store and the basil to the right is from my garden. Stack several leaves of basil, roll it up like a cigar and slice. Some people prefer basil torn. 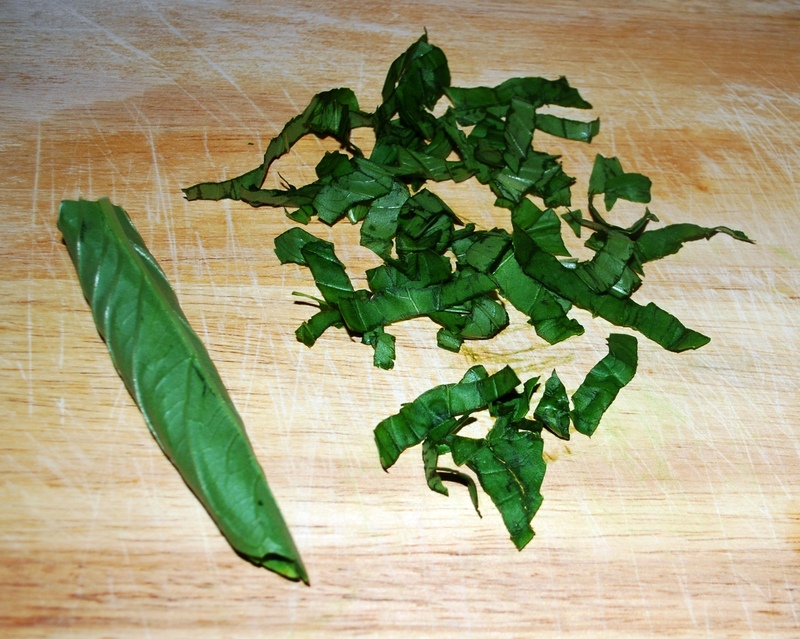 Either way is fine, however, the chiffonade generally provides smaller pieces. 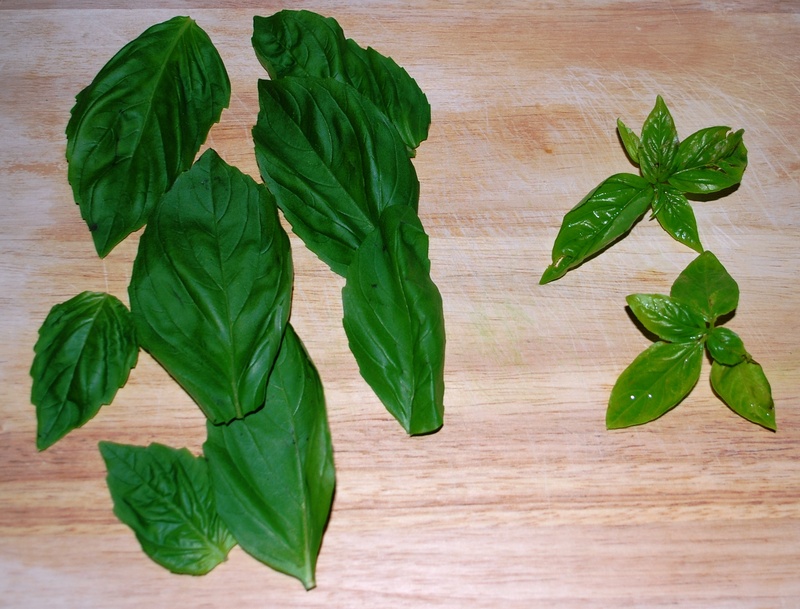 Make sure to cut the basil right before serving, otherwise it will discolor quickly. 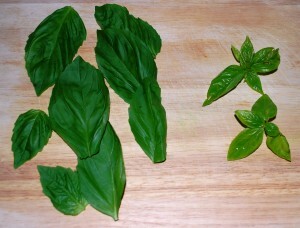 Generally fresh basil leaves will keep in the fridge for several days. Wrap it in a very moist paper towel and place in a plastic bag. The basil may have some, but not much, discoloring and should be fine to eat. If roots are still attached, place in vase with water as you would flowers.